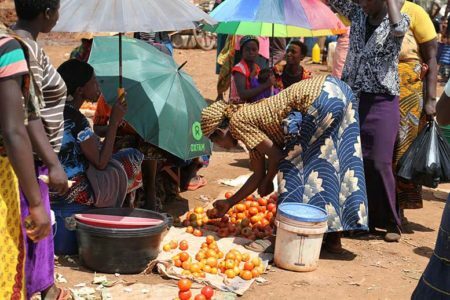 Refugees in western Tanzania are part of a pilot project to replace food handouts with cash paid into mobile money accounts. As part of the project, 10,000 refugees receive still their rations of fortified vegetable oil and porridge blend, but their rations of maize meal, pulses and salt are replaced with 20,000 TSH ($9 USD) cash. The cash is stored on refugees’ Airtel tap tap cards, which are linked to Airtel Money accounts. “As a result of innovations in cash-based transfers, cash assistance has emerged not only as the preferred means for refugees to receive food assistance, but also as an efficient method that boosts local economies,” said Michael Dunford, WFP Tanzania Country Representative. “Cash-based transfers and increased economic activity can also help strengthen local infrastructure, such as financial services, market services, as well as internet and mobile network availability,” says Dunford. Following a contribution of 750,000 Euros last year, France has contributed a further 250,000 Euros (284,000 USD) to enable the WFP to continue the cash program for 10,000 refugees for an additional two months. “This is a project for which the support of France is essential,” says Malika Berak, Ambassador of France to Tanzania.